Those who are familiar with the popular Netflix show 'House Of Cards' will understand the title of this post in one take. For the others, clean water initiative is a group of people coming together to provide clean water to children and families around the world, where clean drinking water is a scarcity. While in the show, it is a non-profit organisation, we here can make it a way of life. Water is a must for our survival. Now just imagine that you wake up and see no drinking water around. You are parched and there is nothing you can do about it. They say that a human can survive 3 weeks without food, but only 3 days without water. Drinking clean water is something that will keep you hydrated, make you look good and feel healthy. The dearth of clean water leads, directly and indirectly, to the outbreak of several diseases and water-related ailments. According to WHO, over 3.4 million people die annually from water-borne diseases and most of them are children. This makes water-borne diseases one of the leading causes of death in the world. This is exactly why we need the Clean Water Initiative. It must come from one and all. Livpure strives to make every Indian healthy and ensure purity in their lives through pure water and pure air. 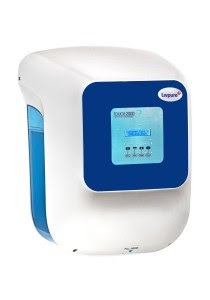 They offer the best RO, UV Water Purifiers online for homes. This keeps your family safe with healthy drinking water. Unclean water can lead to diseases like cholera, Hepatitis A, Typhoid etc. We all lead a busy lifestyle and have no time to fall sick. During such times, prevention is always better than cure. Livpure combines technology and innovation to manufacture world-class water purifiers. With the legacy of team spirit, trust, prosperity, commitment, excellence and vigour to strive for more, Livpure is working towards changing the face of the Indian water purifier industry. Livpure aims to establish new benchmarks in water purification technology and offer world-class choices in modern potable water systems to the Indian consumer. They have a state-of-the-art manufacturing unit where they research, develop and refine water purification. They maintain the highest standards of quality and hygiene to avoid any contamination. Each product is manufactured and assembled in a sterile environment and tested thoroughly at their quality control lab. Their strong distribution network ensures that they reach consumers in every corner of the country. 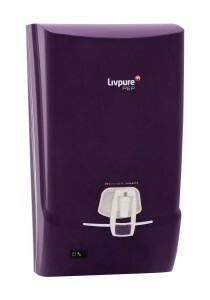 Water purifiers are a must for every house, and Livpure has the best water purifiers in India. They keep away diseases and keeps a family healthy. Clean water is not a luxury for all. Earlier it was an expensive affair, but now you have everything at your fingertips. You can now place an order for a water purifier online. The staff from Livpure will come in and do the rest. Come, let's join our hands together for the clean water initiative.